The Canadian company “Avala resources” will perform this year new field work on the project Tulare in the municipality of Medvedja in southern Serbia. 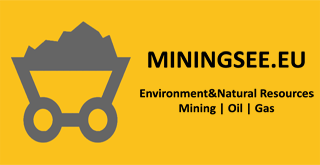 Activities will be important to define mineralization zones of gold, silver and lead on the surface, as the previous one, as it is said, “have given encouraging results”. “For now, the target area is still little explored, but new field works are planned for this year, which have aim to test the parallel zones and thus to lead to an increase of potential exploration area”, said Justine van der Torn, a research manager of the company. In an official statement, the company presented the results of the trench from the southern part of the exploration area Tulare, where previously were discovered two copper and gold deposits, “Kiseljak” and “Yellow Creek”. “Avala resources took over the project Tulare last year, after its integration with the company Danube resources in Canada, so that future activities include a detailed analysis of past works and results in a given project”, said Van der Torn. The statement also announced additional exploration work on the project of gold Timok, which is located in eastern Serbia near Zagubica, in order to extend reservoirs so far defined. The company had previously announced that, based on previous research results and preliminary studies, the opening of the first gold mines in Serbia, would cost 177 million dollars. If the plans are realized, the mine would employ 250 workers, and the Republic of Serbia could get more than 30 million dollars for ten years based on mining rent.